I heard a great story this week that has had my wheels turning ever since, and I’m going to share it with you in a minute. But first, I want you to consider how you talk to yourself – in your head. I think I’ve heard someone call this self-talk. 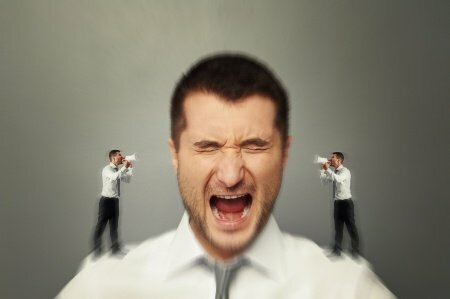 The way I talk to myself holds me back all the time. My first couple of years in commercial real estate, it held me way back. I would talk myself out of making a call. I would decide for a prospect that they weren’t interested…before I even made the call. This self-talk makes a difference. What does the talk in your head sound like? Consider this story. A rich oil sheik decided he wanted to learn how to play golf. So he built one of the world’s best golf courses. It was perfect – gorgeous. The sheik then invited a US club pro to spend two weeks with him on his new golf course giving him lessons, and the pro accepted the invitation. So the Sheik sent his private jet to collect the pro and bring him to the Middle East. Once there, the pro spent two weeks in complete opulence. Everything that he could have wanted was available to him. The pro loved the course and very much enjoyed teaching the Sheik. After 2 weeks, the pro was boarding the private jet to go back to America. The Sheik, being very pleased with his two weeks of lessons, offered the pro anything he wanted. The pro responded and told the Sheik that this had been the best 2 weeks of his life; his hospitality and generosity were payment enough. The Sheik insisted, asking the pro if he collected anything. The pro responded that he collects golf clubs, and then boarded the jet. The entire flight home to the United States, the golf pro thought about what the Sheik would do with that information. Would he send him a diamond encrusted pitching wedge? A gold-plated driver? Over the next couple of weeks, the pro anxiously watched the mail, he just knew the Sheik would be sending him a package that would blow his mind. Then one day, the pro received an envelop in the mail from the Sheik. Somewhat disappointed, he tore into the envelope and pulled out a letter. He was looking at a deed to a 500 acre golf course. Kings think differently than we do. So, here is my challenge to you this week. What would be possible if you got out of your own way? Consider the one prospect on your unicorn list – the one you are petrified to call. Now quit talking yourself out of it, and go bag the unicorn! Think like a King this week! Want to catch your unicorn prospect? First you’ve got to know how to prospect like a King! 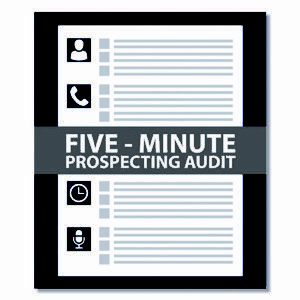 Take our new 5-Minute Prospecting Audit, it is our free gift to you. Download it by clicking the button below, and see how you stack up to top producing Massimo Members!